I stood suspended thirty feet above sea level with hands akimbo. I stared in delight and watched with pleasure at the creatures of the sea, Seals playing with their kind, and then chasing after penguins. I saw the humpback whale and her calf gliding beneath the surface of the deep, feeding on krill, plankton and juggling with delight, their gigantic bodies causing ripples in the cold arctic sea. And then I saw him and my heart lurched with fear and admiration! It was the angel by the sea-shore, my sister would not believe me when I tell her the angel really exists. I was mesmerised by his beauty. The massive wings and the muscular arms enthrall me and I dived towards him, intent on touching those wings to be sure he was real. My feet touched the soft sand and I stood still, silently, waiting for his reaction. His massive wings opened up in glorious splendour, the sinews within his wings and veins rippled with power and I gushed out in delight, such was his beauty. I heaved my arms and floated above him and slowly drifted forward, not feeling safe standing solitary behind him. I gazed at the top of his head as his golden hair danced to the wind and every sound ceased. ”Who are you?” I summoned the courage to ask, a safe distance away from him but the angel said nothing and then I flew close to him, my eyes boring into his and I seemed to be staring at the depth of mystery. His eyes glowed like a lone fire in the snow, they looked like two white doves. When he raised his enormous arms, the waves of the sea took notice. His finely sculptured face was like a fine work of art. His beautifully shaped mouth was slightly opened and when he spoke, his voice sounded like thunder. And I moved back, I hated to admit it but I was scared, and I shouldn’t be because I ruled the sea. I watched his upturned arms which were like two pillars of the earth but suddenly, the mystery deepened. The open sea roared like a woman in labour, his arms were sending out strange signals and I watched open-mouthed as the sea was rolled like a carpet, the depths of the deep was revealed in one clean swoop and I didn’t find it funny. My stomach knotted in fear as the sea creatures groaned in despair at the intrusion. ”Stop this at once,” I said firmly. And he looked at me as a father would look at an errant child. ”Just put down your hands,” I begged and the angel did as he was told, his eyes never leaving mine for a second but I took flight watching from a safe distance, waiting to see what he would do. The Islanders must know about his presence at once. I love writing supernatural thrillers, most of my works tend to delve deep into the mysterious worlds of angels and I would definitely let you in on a secret soon. Thanks for reading my story friends! This entry was posted in Books, Short Story and tagged Angels, Arctic, Arctic Ocean, Ecotourism, Humpback whale, Judgement, Marine biology, Polar ice packs, Polar Regions, Recreation, Sea ice, Sea level, Seals, Specialty Travel, Travel. The piece felt almost poetic…like some intellectual was reading it to me. 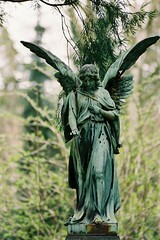 The angel’s presence sounded quite believable and interesting. On a different note now…I do write thrillers as well (a few psychological). Thanks for your comment Uzoma, I wanted it to be a poem before I changed my mind. Thrillers truly depict the human soul, my novel, ‘Tales Of Five Lies’ is a psychological thriller. I would love to read your novel Uzoma!! Sure thing. It happens to me too when I try to compose a piece about something that caught my attention. That will be my pleasure–you reading my books! God willing, they (both) should be out late next year. I know I still have to share my thoughts with you on Tale Of Five Lies. It’s an eye-catching title. You are a delight to read! THANK YOU. I’m glad you like my stories Caroline, thank you! I was wondering last three days where have you been. Well, now i know, Incredible story. His presence so real gave me jitters and as a reader one feels so awestruck by his persona. Also the chemistry between him and you is brilliantly crafted. Thanks Arjun for stopping by my blog. I’ve been working on the release of one of my novels, and planning end of year parties, attending my children’s carol parties, it’s endless activities. You know, end of year stuffs but I love blogging too, though sometimes, other activities might creep in. Thanks for your comment, I appreciate it. Nice structure and build up, sounds to be a solid story to explore in the super natural. A question though, where you have the word entrails, did you rather mean to use a word more like enthralls,entices, unless you do mean to be gutted at the inner most part of your being by what you see? Thanks for your comment, noted! Thank you Seyiandra ! Yet what do you seek in the supernatural? Is it adventure? Is it possibilities or something else? I seek everything, the essence of life resides in the supernatural! Well, if the essence of life resides there, wouldn’t it rather be natural? I don’t mean to be sarcastic, but words colour your notions of things. The word “supernatural” implies many things I guess you don’t want to connect with the essence of life. I believe that it is wise to be thorough with what is important to you. Valuable and important things are enough elusive as they are. You may think things to be good that in fact are evil. The nature of evil is to turn good things ugly and evil beautiful, to twist and crook your perception to a tantamount blur. And words carve within as your ears hear what your mouth tell. I believe you have a very rare gift considering natural things, so I maybe care too much. Thanks for your comment but I think you’ve attached a sense of realism to the above story which indicated that you believed it totally. I am a writer and the story you’re commenting on is fictional, so don’t be afraid dear friend, I’m a woman of faith who loves God! I have a penchant for writing supernatural thrillers with a bit of romance thrown in, so if you read my works, you’ll see plenty of angels. The second edition of one of my novels would be out soon, it’s aptly titled ‘The Feet Of Darkness,’ I’ll give you a shout when it’s out and I’m looking forward to what you’ll make of it!